One thing to take note of about this label is that it is the same type of image that was used in the South Korean version for the game, which was released over there as a downloadable copy. While sharing some obvious differences, like the lack of flowers as seen on an ukiyo-e painting. 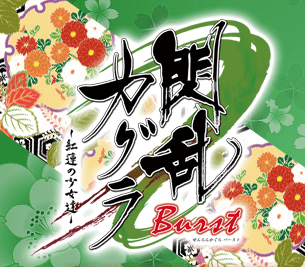 There is still no confirmation by Marvelous AQL that Senran Kagura Burst will be releasing internationally, but when information with a title written in clear English is released to the public, then something — hopefully in the Western gamers’ favor — is certainly happening. This is the same method used to release Rayman Origins, Monster Hunter 3: Ultimate, Kokuga, and The Rhythm Thief & The Emperor’s Treasure in South Korea, with each game containing their respective original languages when released. So hopefully by this information, we can expect some words or form of explanation from Marvelous, its Western publishers, or Senran Kagura Burst‘s creator himself. 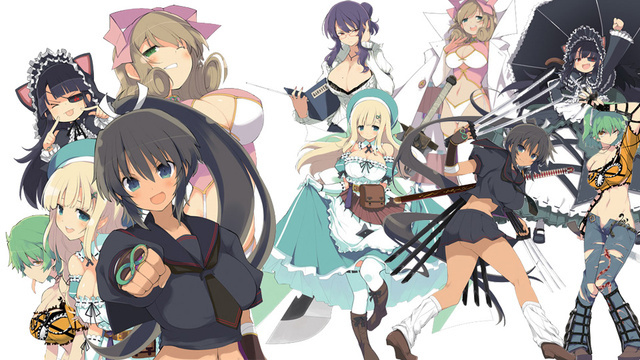 And if you want to learn more, or support this game’s international release, please visit our friends at Senran International Academy.